There was a huge crowd near the Welcome Gates of German Fest in Milwaukee…WHY? The Alpine Echos were performing, and it’s not every day you see a half dozen Alphorns playing real music! I’m sure it was the first time many people even heard the Alp Horn outside of a Ricola Ad! (You can hear it now, can’t you? RIIII Cola!) The Alpine Echos were everywhere over the weekend… at the gates, in the parade, and playing in the opening ceremony with the Freistadt Alte Kameraden Band. And everywhere they went, those long horns drew a crowd. Luckily, I got a chance to talk to them one evening, and found out there is much more to the Alp Horn than cough drops. Who are the Alpine Echos? And why do they play Alphorns?? It turns out Robert and Kris weren’t always Alpenhorn players. Both are members of the German Band Inc. , where they play other (much shorter) instruments. Robert got interested in the Alp Horn after a trip to Switzerland, where he was able to buy an Alphorn from Pilatus-Aplhorn, made by the famed Joseph Stocker. 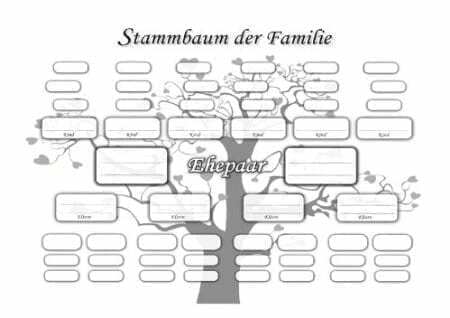 (Since Herr Stocker was retired, and not in the mood to deal with tourists. This was quite a feat, involving several trips up and down the mountain!) Today, both Sturgeons play Stocker horns… his is an antique made in 1960 and hers is a newer model made in 2016. More recently, they purchased 6 Alphorns, and encouraged the Brass members of the German Band Inc to form the Alpine Echos. And when you hear them all play together… it’s magical! (And watching them all walk together with their horns is intimidating… apparently they are lighter than they look). Kris took the time to explain how to make music with these LONG horns. (Thankfully, my musical daughter was there to translate.) There are no buttons or valves like a trumpet, and no slide like a trombone. All of the different tones are made by blowing into the horn. (Like a Brass Instrument, but made of wood). And a lot has to do with lip pressure. She showed me the mouthpiece which is separate from the horn (and looks like a wooden schnapps glass with a stem). There are 3 different lengths of Alphorn, each makes a different pitch (F sharp is 11 feet, 3 inches long, the Alphorn with a fundamental pitch of F is 12 feet, 3 inches long, and the Alphorn with a fundamental pitch of G is 13 feet, 2 inches long.) And each horn has a 4 octave range. Their mellow reverberating sound is a result of the conical shape. 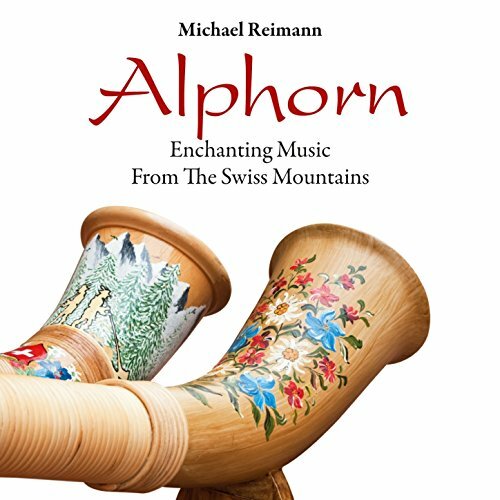 Originally, the Alphorn was made from young crooked pines that grew up high in the Alps… trees would grow out from a steep mountain, and then turn up toward the sun. Because the trees in the Alps grew so slowly, the rings were close together, and the pine was sturdy and strong. The young trees would be cut down and carved out in sections that were then put back together. The VERY EARLY Alphorns were cut lengthwise in half, hollowed out, then strapped back together with strips of leather. 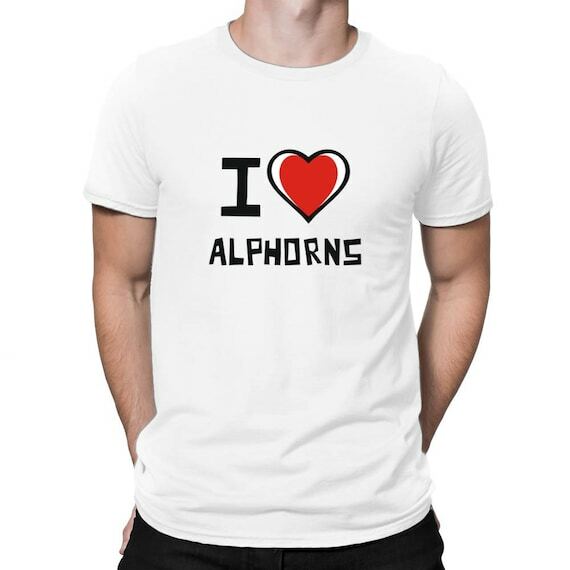 Today, the Alphorns are made from Ash, Birch or even CARBON FIBER! They are cut into 3 or 4 sections, hollowed out, and then joined. (It was interesting to me that the new horns can be taken apart easily for transport… I suppose this makes it easier if you want to drive somewhere with your Alphorn!). The LONG tube is tapered toward the mouthpiece, and the bottom end is an upturned bell. (It looks like a long Cow horn). At the bottom, you also find little “feet” that the horn can rest on. Many Alphorns have decoration painted on them. 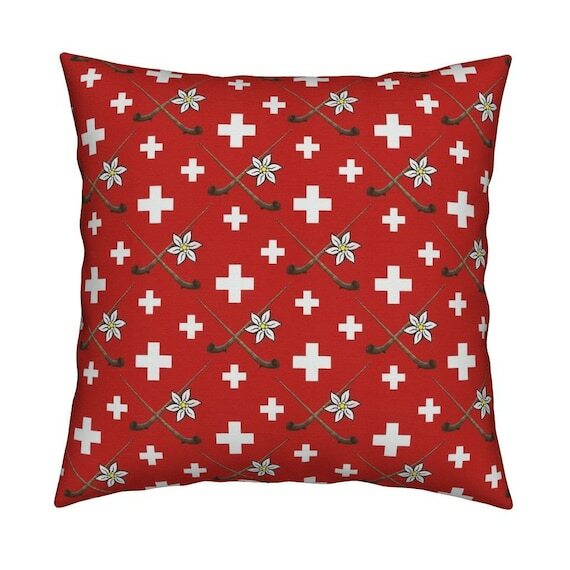 In Switzerland and in the German Alpines, the sweetest grass to feed the cows is found in the high Alpine Meadows. 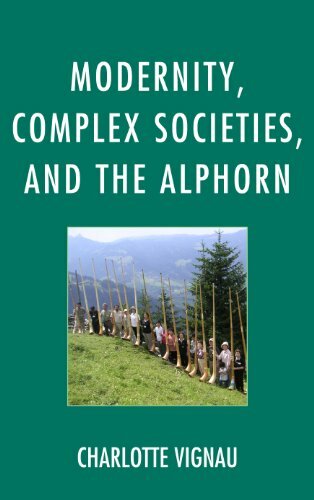 The best way for shepherds to communicate with their family down in the Valleys was with an Alphorn. Different signals were worked out to let everyone know that things were alright up on the mountain. 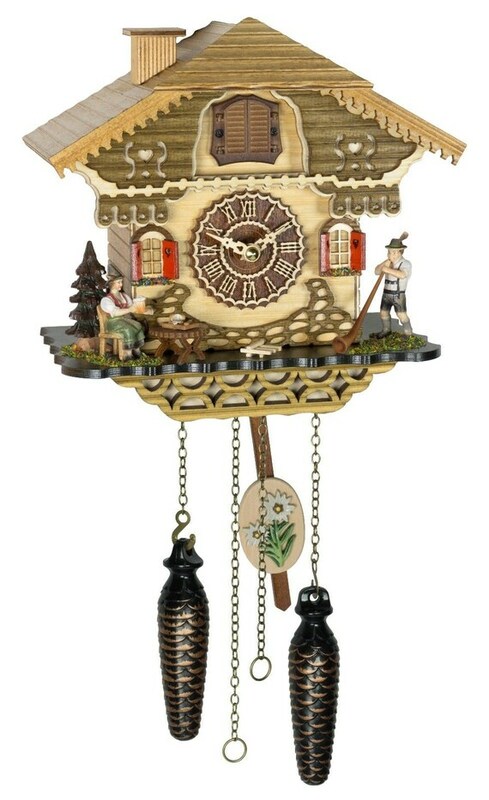 But the Alphorn was more than just an unwieldy telephone…. it was also used to soothe the cattle when they were being milked, and to encourage them to get up the last stretch of mountain road. And in some Catholic Cantons in central-Switzerland, an Alpenhorn was used as a call to evening prayers. In the last 200 years, use of the Alphorn by shepherds fell off. 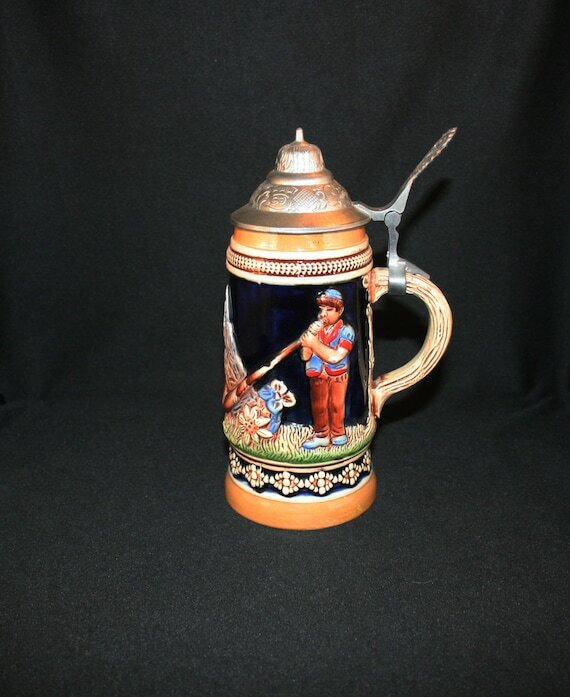 Luckily, in 1820, the instrument was saved from obscurity by Niklaus von Mülinen from Bern who took old Alphorns, repaired them, and passed them along to musicians. He also held Summer Music Classes to teach people to play the Alphorn. But they didn’t just play music to soothe cows! 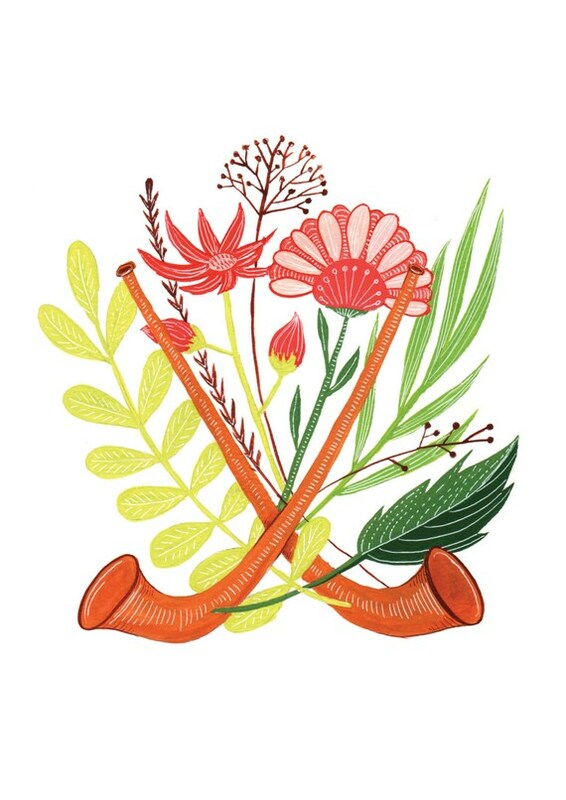 Folk songs with yodeling and Alpenhorn were written, and classical composers Johann Brahms and Leopold Mozart wrote symphonies incorporating the Alphorn. The long horns became fixtures at traditional festivals, and eventually became a symbol of Switzerland. 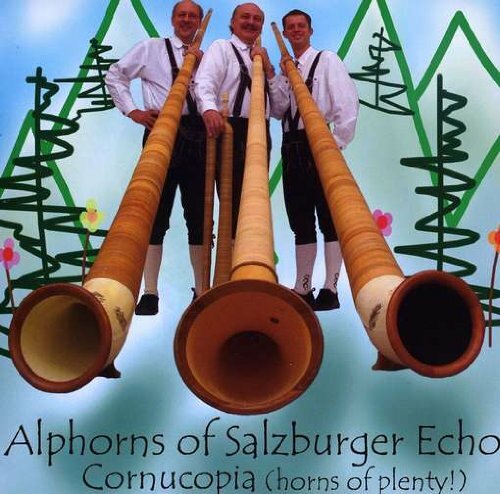 Both Robert and Kris, as well as the other members of the Alpine Echos, are wildly enthusiastic about their Alphorns, and making music with them. The whole band acts as musical ambassadors who share their love of traditional German and Swiss music (and if you aren’t careful, you might find yourself buying a horn and joining in!). But most impressive is their generosity. Both the German Band, Inc. and the Alpine Echos donate ALL of the money they earn performing to the Food Pantry in Oberlin, Indiana. as well as the Hobart Food Pantry in Hobart, Indiana. That is a lot of driving, a lot of toting an 11 pound instrument, and a lot of playing… all for charity. What is Spanferkel? A Roasted Pig, Perfect for Any German Festival!